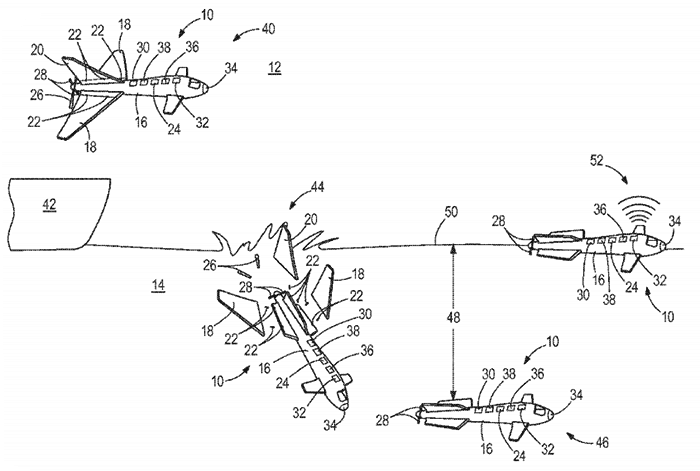 Aeronautics giant Boeing has been awarded a patent for an aerial drone that can transform into a submarine. The unmanned drone can be flying through the sky and then dive into water, detaching its air wings. The transforming invention can then cruise underwater at controlled depths using buoyancy tank controls to reach its target. The Boeing patent describes "A vehicle which is adaptable for both flight and water travel". The transforming vehicle includes a body, a wing, a stabiliser, a first (air) propelling member and second (water) propelling member and one or more attachment members. 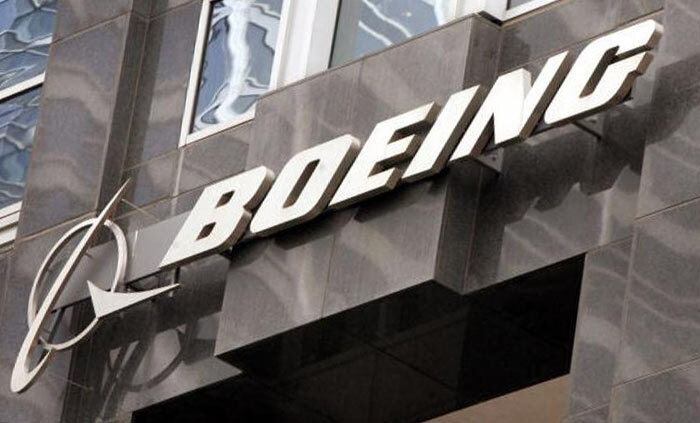 Boeing says that it designed the 'flying submarine 100' because unmanned vehicles and drones, used in theatres that are often too dangerous for manned vehicles to go, can be expensive to move to an 'area of interest'. It is possible that the vehicle can transmit its data then retake to the air at the end of its water borne mission thanks to "re-deployable wings for multi-mode operation". Alternatively once it has completed delivery of its modular nose payload or monitoring functions (for example) it may be able to travel home on the water surface or be otherwise salvaged. As pointed out by a GizMag report, the patent doesn't offer much in terms of specifics concerning the key specifications of motors or power sources the transforming vehicle might use. There are no reports of such a craft being tested at this time but, depending upon who is interested in using such a vehicle, such testing might be kept quiet. Seems like a fun thing to do, although I would question how much of a need there is for such a thing, seems like a solution looking for a problem. I would have thought some obvious military uses for this, and probably a few civilian ones in ‘hazardous’ environments, too. For example, when you need to survey something but submarine approach takes too long, and manned aerial approach is too risky. Looks like something a 10-year-old would draw. I had no idea these kind of abstract ideas could be patented. It looks more like a design sketch for Kerbal Space Program lol.